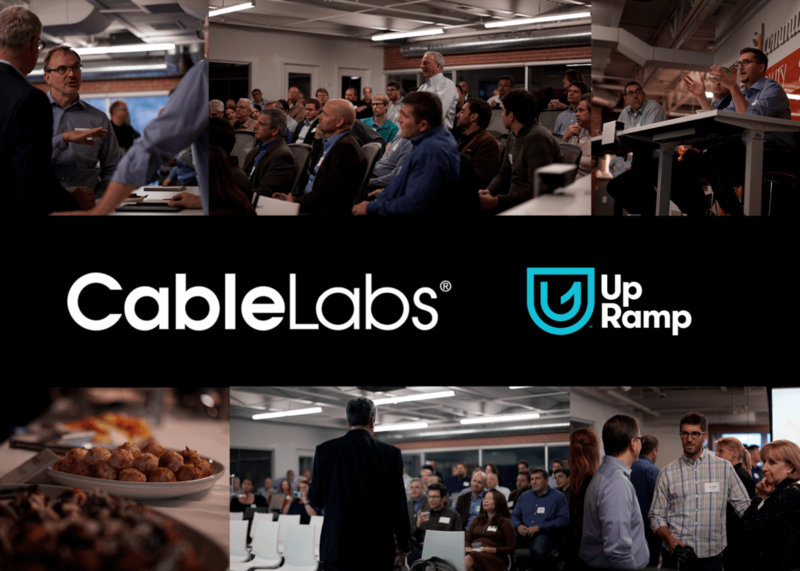 Join CableLabs, UpRamp, and members of Colorado’s entrepreneurial community to watch the 2017 UpRamp Fiterator cohort pitch their innovations to an panel of investors and industry experts. Since this will be the only public event featuring the Fiterator Teams, it’s a rare opportunity to learn why we believe these companies are positioned to change the future of connectivity in the global video-broadband-wireless ecosystem. You should attend this event if you are CableLabs member, part of the venture community or looking to engage with others in this innovative ecosystem. Come early or stay later to connect with the Fiterator teams to learn more about their technologies and the UpRamp programs. Register NOW as seating is limited for this complimentary event. Carla is active in the connectivity world and one of four founding executives of Verio Inc., serving as the Executive Vice President, General Counsel & Secretary. They raised over $1B in private and public debt and equity financing and completed over 60 acquisitions in under 4 years, resulting in a 4,000-employee company doing business throughout the US and Europe. The company was sold to Japanese telecom giant Nippon Telephone & Telgraph for $7 billion. She was also a partner at Morrison & Foerster focused on Business/Corporate Finance/M&A in the Denver and Los Angeles offices. Serving as the head of Business Practices for the Denver office, and as Co-Chair of the firm-wide Telecommunications practice. Prior to that she was an Associate in the corporate and tax departments of Holme, Roberts & Owen. Andrew Ip - Senior Vice President, Emerging Technology & Innovation at Charter Communications, Inc.
Andrew leads the charge for introducing, developing and commercializing new technology that will enable enhanced customer experiences and help Charter expand into new marketplaces. Prior to Charter, Ip served as Senior Vice President and Managing Director at Madison Square Garden Ventures. And, before MSG, he spent nearly five years at Cablevision where he held a number of positions, including leading the teams responsible for the design and operation of the WiFi and HFC networks, as well as leading the Optimum Labs group. In addition, he was a Partner at Meridian Advisory Group, where he was responsible for advising clients in the Cable, Wireless, and Media segments. Ip holds a Master of Business Administration degree from New York University's Stern School of Business and a Bachelor of Science degree in Electrical Engineering from Lehigh University. Mark coaches and mentors C-Level’s across industries engaging in business growth, technology strategy and innovation. Prior, he was an executive at KPMG where he developed and managed a variety of teams having client delivery, operations, corporate development, strategy and M&A responsibility. Within KPMG and other entities he has launched Innovation programs for services and products. He has been a part of the startup community, coaching/advising startups, launching his own efforts and participating in management of small to large startups. Mark's diverse industry experience has provided the expertise needed for The Innovators Network to help entrepreneurs, intrapreneurs and companies win in a highly competitive innovation economy.